Freedom to choose is one the ‘rights’ we all think we have.Yet global culture today seems poised between visions of freedom that look more like destructive license, and ways of life that restrict the liberty of huge sections of society such as women, ethnic or religious minorities, or the poor who have little access to the wealth that brings opportunity. In the gospel, Christ offers us freedom, but what does that mean? What kind of freedom does he offer? In 1520 Martin Luther wrote a short work called ‘The Freedom of a Christian’. 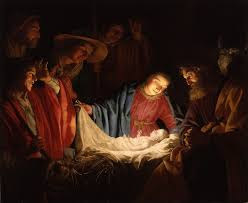 In it he celebrated the freedom all Christians possess: “A Christian is a perfectly free lord of all, subject to none.” In faith, a Christian is freed from the demands of law, of external human requirements that override personal conscience or liberties. The Christian enjoys what St Paul called the ‘glorious liberty of the children of God.’ Yet this is only half of the picture of Christian freedom in Luther’s mind. The other half he summarizes in the statement: “The Christian is a perfectly dutiful servant of all, subject to all.” In other words, the Christian, having received her freedom from Christ then freely surrenders that very freedom to become the servant of others. It seems at first sight an odd argument. What might make a sane person seemingly turn their back on the delicious freedom from obligation, freedom to choose, freedom to act as they wish, only to become a slave again? The most straightforward answer is in the simple insight that for the Christian, freedom is a gift not a right. In the Enlightenment, freedom was very much a right. It was ‘self-evident’ to Thomas Jefferson that ‘Liberty’ was one of the ‘inalienable rights’ of human beings as defined in the American Declaration of Independence. Yet ‘Freedom’ in the New Testament has a metaphorical power that it does not possess for us today – it is a metaphor of freedom from slavery. For a Christian, freedom is not an ‘inalienable right’. It is something forfeited by sin, and restored by the grace of Christ. It might not have been this way. There is in Christian theology another answer to the question of why followers of Christ are called to surrender their ‘freedom’ to become a slave all over again. A Christian anthropology does not see humankind as neutral agents, perfectly balanced between good and evil, quite capable of choosing one or the other. That was precisely the Pelagian heresy opposed by St Augustine and many others since. We experience instead a bias in our nature, an instinct to choose our own interests above those of others, to be jealous of those who succeed, to be angry with those who cross us, to ignore those who need our help. Christian redemption on the other hand offers freedom from such destructive habits. It offers freedom from a guilty conscience, and the power of the Holy Spirit in the discipline and fellowship of the church, to learn new patterns of behaviour and new instincts. A Christian vision of freedom, is paradoxically, freedom NOT to do what I want. It means freedom from the compulsion to follow the slavish and often destructive desires of sinful human will – the very desires which as we saw earlier so often destroy relationships, lives and communities. It means the ability to say ‘no’ to actions and impulses which fail to express God’s will for humankind as revealed to us in Christ, the Scriptures and the Christian tradition. Christian freedom does not give me carte blanche to act as I choose, to indulge whatever desires may rise out of my heart, but there is a higher order of freedom, freedom to be who we were created to be, creatures capable of and naturally inclined to self-sacrificial love, freedom to say no to myself and yes to the good of my neighbour, wife, children, friend or even enemy. We are experiencing what some commentators have called ‘the crisis of freedom’. The challenge faced by many contemporary societies is whether they can retain the important liberties gained through technology and political emancipation, yet at the same time, not allow such freedom to become destructive of the very things which bind people and communities together. This vision of freedom as the sheer gracious gift of God, which carries a deep sense of indebtedness and which evokes the desire to please the giver, offers a radical alternative to heteronomous repressive demand. At the same time, the notion of freedom as liberation from destructive and selfish desire, becoming capable of the very self-sacrificial love which God in Christ displays at Calvary, builds community and relationship. The result is a vision of a community not (as in many ancient societies) where some are masters and some are slaves, nor (as in many modern ones) where everyone is a master, and none are slaves, but one in which all are free, yet are called to choose the path of being slaves of one another - only this time it is freely chosen service, not unwilling conformity. Such a vision of common life whether applied to a nation, a business, a university or a neighbourhood holds the promise of harmony which comes only through the willing, freely-chosen surrender of freedom. Yet it is the church, which first and foremost is called to live such a common life. Today, in our current crisis of freedom, that is perhaps its greatest task. Yesterday I took and preached at the wedding of Sam, our wonderful and only son, to the lovely Jenni. It was just a fantastic day all round. Jenni came in to Coldplay, they both walked out to U2, and in between, a really excellent band led some very fine worship with a great brass section. I preached on 1 John 4, with some help from Martin Luther. Sam and Jenni were on top of the world, loads of family and good friends were there. As it was a Salvation Army church, the wedding was dry - not a drop of alcohol in sight. But you know it didn't make any difference. The evening ended with with everyone dancing to Aretha Franklin numbers with as much energy as any other dance I've ever been at. No-one got drunk, no-one fell out, no-one had to worry about gettting breathalysed on the way home - you wonder what the fuss is all about. God is good. A great day - one of the best. I don't often use the word 'inspiring' for a book but I've just finished a pretty inspiring one. 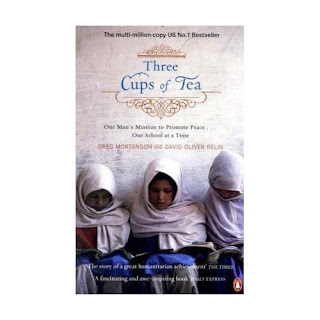 It's called 'Three Cups of Tea' by a chap called Greg Mortenson (and David Relin - a co-writer). Apparently it, and he, are quite well known in the USA, but I had never heard of him before my wife bought me the book for Christmas as it was about climbing and Pakistan, and she knows I have an interest in both. Greg Mortenson was a child of missionary parents, and a climber who made an unsuccessful attempt on K2 in the Karakoram in 1993 After a fairly harrowing time, he survived and stumbled into a small Balti village where he experienced real kindness and grace. In response he offered to help, and it turned out they were most in need of a school - so he promised to help them build one. To cut a long story short, starting with no resources or contacts, he gradually finds the funds and the network to build this school, however this turns out to be the start of something big. The Central Asia Institute he founded (it sounds more grand than it is) has built 55 schools in villages across Pakistan and Afghanistan in the past 15 years or so. The book gets really interesting however in 2001 after 9/11. Suddenly the eyes of the world and America are focussed on exactly this region of the world as the source of the sudden homeland security crisis and the focus of the 'war on terror' The book gets fascinating at this point because it offers an alternative strategy to undermining violent Islamic militancy than trying to bomb it out of existence - Education. The source of much of the extreme Islamic tendency was the madrassas of northern Pakistan and Afghanistan. If the people of these regions could be given a basic non-extremist education that steered them away from such centres and towards a more socially constructive way of looking at the world, that might do a lot more to build these societies, and promote a sense that the west is on their side than raining heat-seeking missiles on them, or failing to keep promises of aid and post-war re-building. He has a particular focus on training girls as they are so often the key to how childen are brought up and therefore often shape the future more than men. Education as the alternative to war is a fascinating idea. So is the power of kindness and mercy to generate more acts of kindness and mercy. 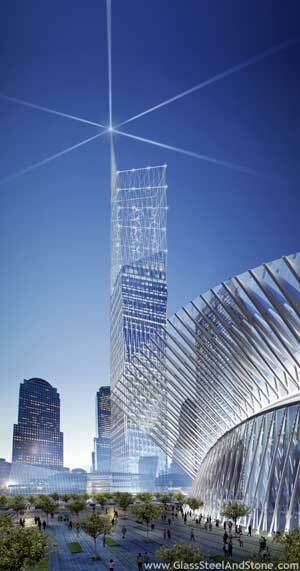 It is a parable of how both evil (9/11) and goodness (this story) are self-replicating and multiply. They tend to give birth to more of their own. The small choices we make each day for one or the other might have big consequences longer term.